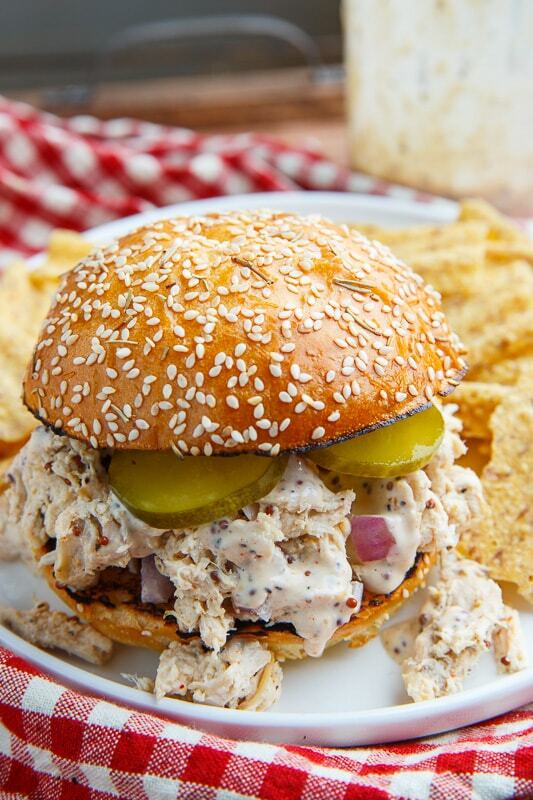 Tender white BBQ shredded chicken sandwiches with onions and pickles! Although it’s still a little chilly out for outdoor grilling I was craving some BBQ and white BBQ chicken sandwiches sounded like the perfect fit! Especially with some slow cooker shredded chicken for absolutely minimal effort! 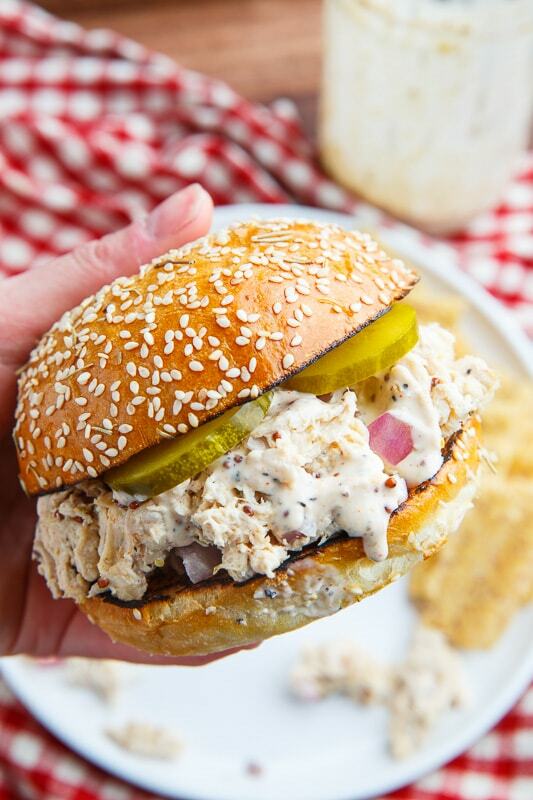 These sandwiches don’t really need a recipe, I mean it’s just moist and tender pulled chicken dressed with a homemade white BBQ sauce along with some of my favourite extras, but they are oh so good! I like the pungency of onions and pickles to complement the creamy mayo based BBQ sauce which really makes these sandwiches shine! 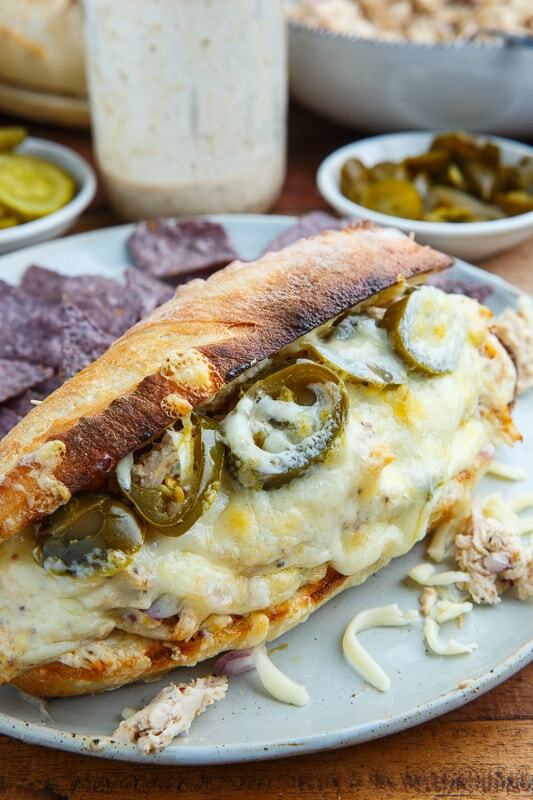 Another good option for these sandwiches is melted cheese along with some spicy pickled jalapenos or candied jalapenos. 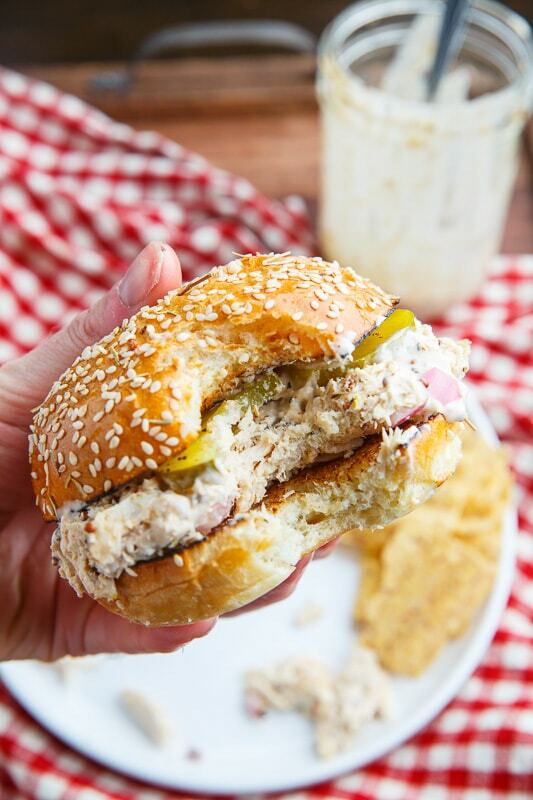 No matter how you fix these white BBQ chicken sandwiches, they are sure to hit the spot! 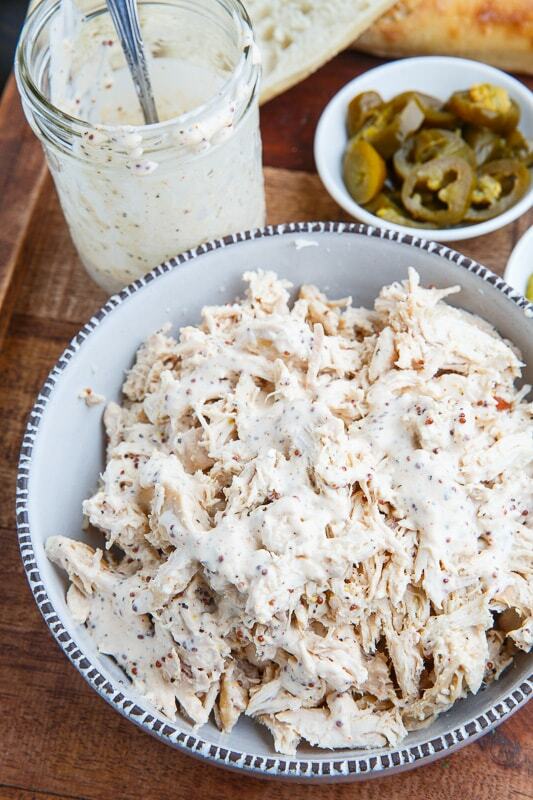 Mix the chicken and white BBQ sauce, assemble the sandwiches and enjoy! Option: Add cheese! Melt the cheese on the grill or under the broiler! 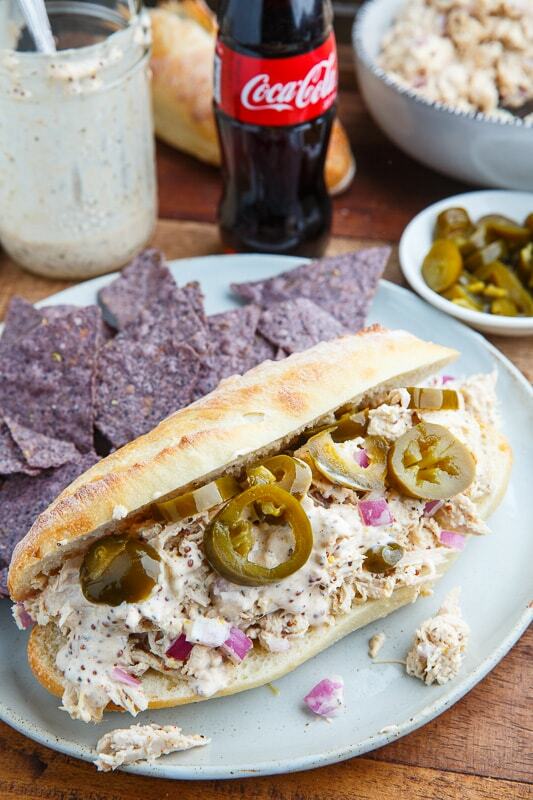 Option: Add pickled jalapenos for some extra heat! Option: Add lettuce, tomatoes, etc.